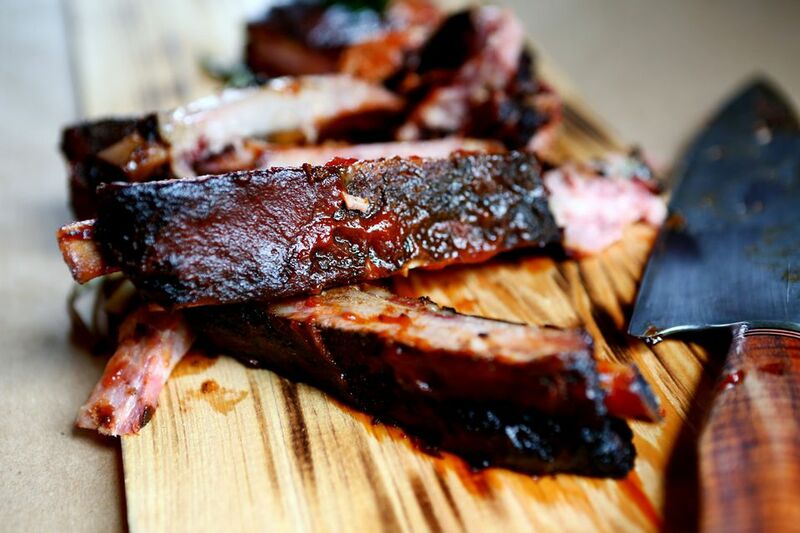 Whether pork or beef, whole slabs or portions, ribs cooked on a grill can be counted on to get your salivary glands working overtime, as long as you treat the ribs right. Some people recommend that before you turn on the grill, you parboil your ribs to shorten the cooking time and tenderize your meat. No matter what ribs recipes you use, these four tips will make sure they turn out tender and delicious, with crispy bits along the edges every time. 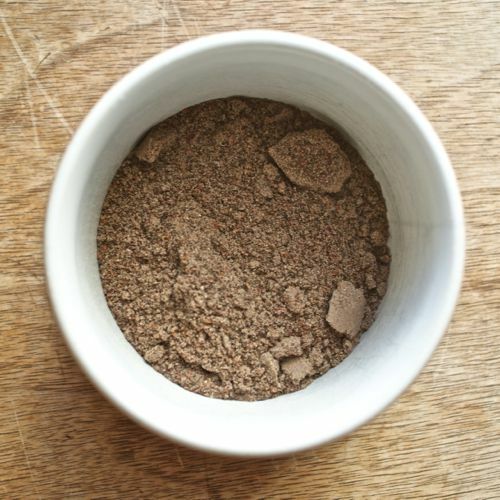 Dry rubs are usually made with herbs, spices, salt, pepper, and sometimes sugar. (Even a "rub" of plain salt will help ensure that ribs are as flavorful as they can be.) Dry rubs are important because the fat on the outside of the ribs will melt and meld with the dry rub, forming a delightful tasty little crust. Sugar in a dry rub will allow a bit of caramelization along with the Maillard reaction (that's the technical term for why browned meat is so delicious), creating an even tastier rib. If making your own rub, use about 1/2 to 1 teaspoon salt for every pound of meat. Know that a bit of paprika (sharp, semi-sharp, or smoked paprika) adds some nice color and taste to the mix and the cooked ribs. Charcoal grill: Bank coals to one side of the grill and cook the ribs over the area without coals under it. Large cuts, such as ribs, that need longer cooking times to get tender take long enough to cook that the high heat from being set directly over coals will burn the outside well before the inside is cooked and tender. Gas grill: Turn all burners on until the cooking grate is hot, then turn off one of the burners and place the ribs over that section of the grill. Place a drip pan on the grill grate under the section of the cooking grate where the ribs will cook. It will help minimize flare-ups and burned ribs, and keep the "cool heat" section from overheating. You can purchase ready-made drip pans or make your own out of aluminum foil. Quality grilled ribs don't necessarily need a sauce, but lots of people love to use one anyway. Most ribs sauces contain at least some amount of sugar, honey, or maple syrup — all of which burn easily. Saucing ribs at the end will help avoid a burnt and crusted sauce.